Tiny particles of the precious pigment lapis lazuli found in the teeth of a medieval woman suggest she was a scribe producing high-quality illustrated manuscripts. 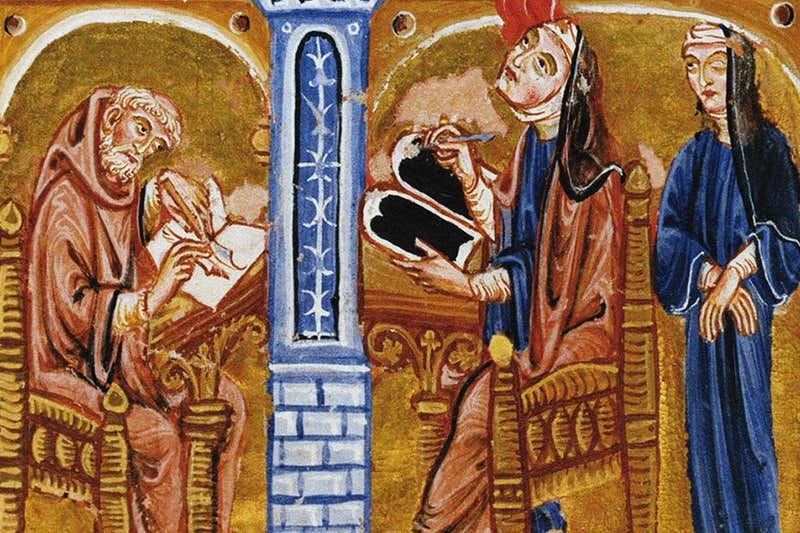 The discovery adds to evidence that female scribes copied far more books during the Middle Ages than thought. 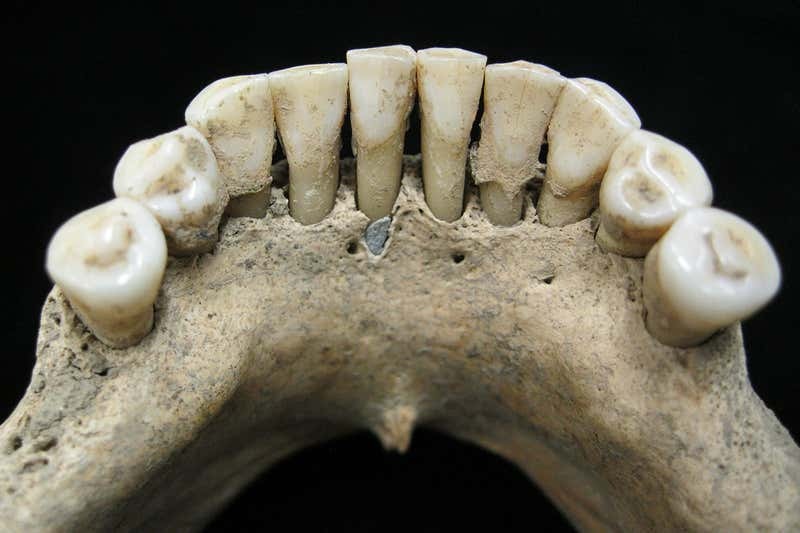 The finding came about by accident when Warinner’s team set out to study oral microbiomes by looking at mineralised plaque on the teeth of ancient skeletons. One of the skeletons came from a medieval cemetery near Dalheim in Germany associated with a religious community. It was excavated decades ago during building work. This skeleton had blue plaque, but finding out why required a long investigation by physicists and historians as well as archaeologists. Eventually an analytical technique called micro-Raman spectroscopy revealed that the vivid blue particles in the plaque were lapis lazuli. There are four possible explanations. There’s “devotional osculation” – the practice of kissing figures in illuminated prayer books. But devotional osculation didn’t become popular until after 1300 AD, and the skeleton dates to between 1000 and 1160. Secondly, powdered lapis lazuli was sometime used as a medicine in ancient times. But there’s no evidence of this in Germany at the time the woman lived. Thirdly, the woman might have made pigment from lapis lazuli stones for others to use. But simply grinding up the stones produces a dull grey pigment. To get the brilliant blue ultramarine pigment requires a complex refining method that wasn’t known in Europe until centuries later. So the team think the most likely explanation is that the woman was a highly skilled scribe who produced books that were important and valuable enough to use lapis lazuli pigment. The pigment probably got into her mouth when she licked her brush to make a fine point. Team member Alison Beach at Ohio State University in Columbus has previously used a variety of detective methods to show that numerous nuns were scribes. For instance, where a book was signed by a female scribe, she has used handwriting recognition to uncover their other works. Before the invention of printing, producing a single copy of a book took many months of work.